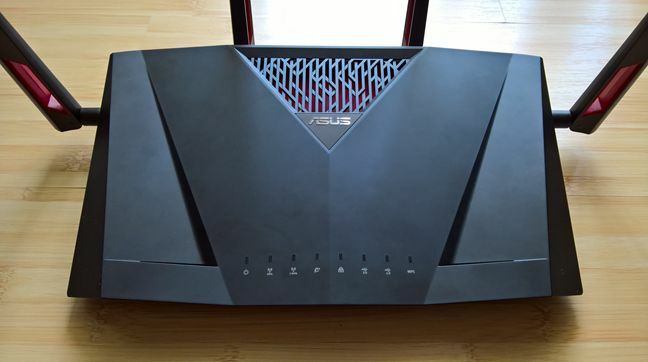 ASUS’S LATEST DSL ROUTER AIMS TO BE AN ACE OPTION FOR HOME NETWORKS. 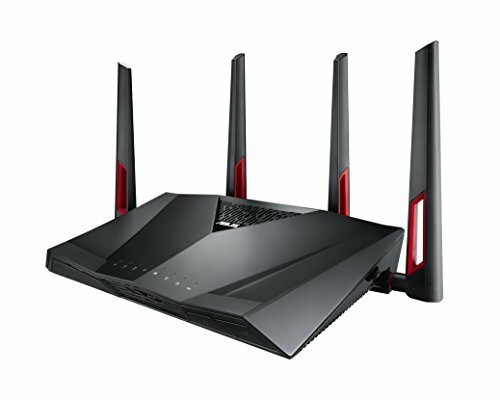 LOOKING LIKE THE front of some kind of cyberpunk muscle-car, Asus’s most-recent 802.1 lac muter brings together a huge range of features with built-in DSL modem into one family-oriented device. 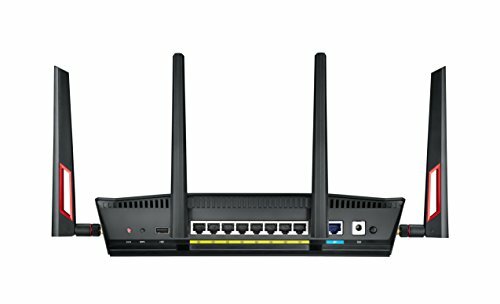 Matching the excellent RT-AC88U ‘s 802.11ac Wi-Fi capabilities (with top 5GHz speeds of 2,167Mbps and 2.4GHz speeds of up to 1,000Mbps), this new unit’s compatible with FTTN-based NBN connections and has a dedicated WAN Ethernet port for hooking up external modems, making it a good choice for those who might be on ADSL now, but eventually migrate to a non-FTTN NBN connection. The real star of the show is Asus’s excellent WRT firmware, which offers a comprehensive set of enthusiast-oriented features. That includes higher-end options like VPN client and server tools, comprehensive event logging and detailed Wi-Fi tweaking tools. An AiProtection hub is oriented toward security, and now integrates a host of advanced software smarts powered by Trend Micro. That includes reasonably comprehensive parental controls, such as category-based site blocking (such as Gaming, Media Streaming, P2P, Instant Messaging and so on) or the ability to restrict internet access for specific devices to certain hours of the day. As in other areas of Asus’s firmware, the controls here are relatively straight forward and provide a useful amount of info on what each option does — although some areas could perhaps use a little more detail. For example, there’s no way to drill down and see what sites and services, are being blocked in each category. There’s also no way to whitelist certain sites or services either, and we found it didn’t block chat-service Telegram — although it did get more mainstream options including Facebook, Snapchat, YouTube, Reddit, Twitter and Instagram. 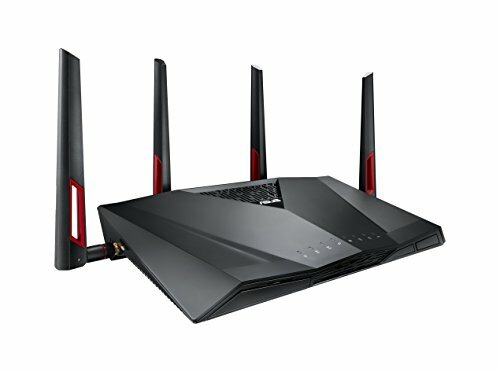 Curiously, the DSL-AC100 doesn’t include baked-in support for WTFast VPN — a special ‘Gaming Private Network’ service that promises to deliver better pings and less packet loss, which Asus has partnered with on many of its other high-end routers in the last couple of years. 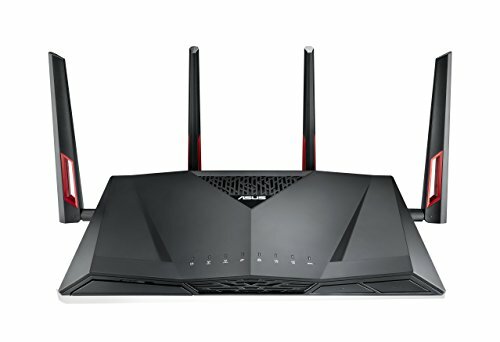 It’s unclear why that’s the case — but does mean that this router isn’t as well-suited to competitive gamers. While the DSL-AC3100 does so much right in some areas, it’s a little mixed when it comes to Wi-Fi performance. Its signal penetration and range are both commendable: it managed to maintain solid read and write speeds at longer distances and even through brick walls. Our long-distance test, about 10m from the router and with partial signal blocking due to two brick walls, had peak reads and writes of 41.5 and 23.5MB/S respectively. That’s around 11% and 24% down on our near-distance results (tested 3m from the router with line of site) of 46.4 and 30.4MB/s. For comparison, at that far distance most other routers drop by around 20-30% for reads and 30-40% for writes. However, for an 802.11ac router those near-distance speeds are, frankly, a little lacklustre. 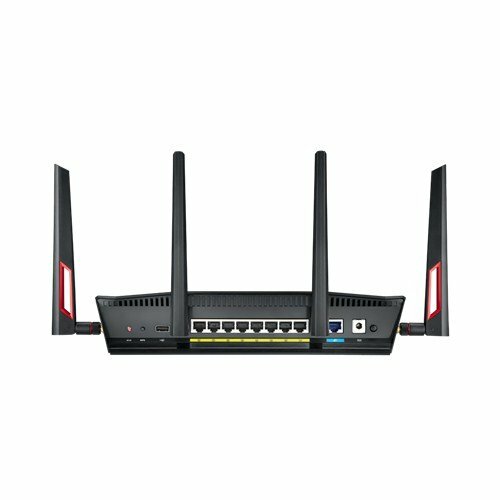 Other Asus routers we’ve tested, such as the RT-AC5300 and aforementioned RT-AC88U, have maintained read speeds in the 60-70MB/s range and writes around 50-60MB/S in these exact same tests. Still, if you can live without having the absolute fastest throughput, then this is still a great, full-featured router for the demanding home network.